Manufacturer of a wide range of products which include ultrasonic face lift machine. 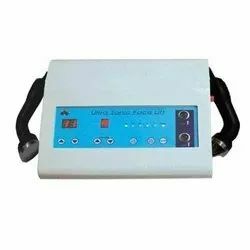 We are a profound name of the industry, engaged in manufacturing and supplying a superior array of Ultrasonic Face Lift Machine to our esteemed clients. This is widely appreciated for high performance and is mainly used for face lift, eye care and to remove wrinkles. The product is quality checked by our quality analyst and is available at very reasonable rates to our customers.